CETel, a German provider of global satellite, fiber and wireless enabled communications solutions, has just upgraded their extended C-band service for Africa to meet the increasing demand in the raw material extraction sector. With more than 50MHz on Arabsat 5C extended, CETel delivers connectivity to rural areas in many African countries, especially Mali, Niger, Nigeria, DRC and South Africa. CETel’s Managing Director Guido Neumann announced the upgrade by March 2017. 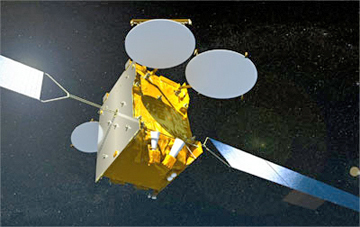 Artistic rendition of the Arabsat 5C satellite. Arabsat, a long-term strategic partner of CETel Germany, delivers the designated space segment. Jointly, CETel and Arabsat deliver reliable and economic managed end-to-end services across Africa for the oil & gas, mining and construction sector. “CETel expands this customer network serving up to 200Mbps to critical and sensitive operations in the natural resources industry,” said Neumann, adding that the increased bandwidth demand is realized via a hub-based solution from the company's teleport in Germany, providing dedicated as well as shared services.